Open floor plans are extremely popular as many people favor the way they encourage interaction and create a welcoming home environment. However, when it comes to painting your home’s interior, an open floor plan can make things tricky. How many colors should you use? Where should your transitions be? Here are a few tips to help you paint an open floor plan. When planning to paint your home, you should stick to three to five colors that you plan to use throughout your home. This should include one or two neutral colors, one to two supporting colors, and one light color. Sticking to a select few colors will allow your open floor plan to maintain the feeling of freedom and fluidity that it is meant to represent. Accent colors are a great way to add color and style to any room, and are particularly beneficial in rooms with neutral color palettes. Picking interesting spots and angles in your rooms to add splashes of color can increase comfort and add personality to your room without having to commit to a bold color scheme. 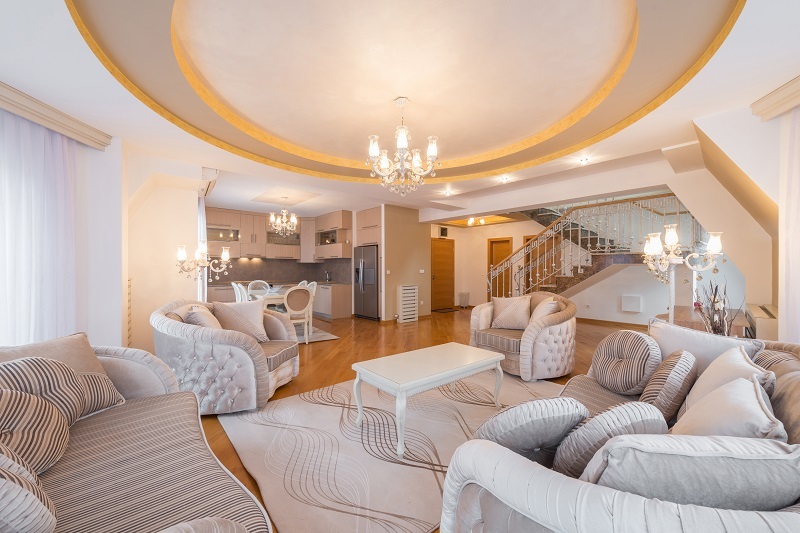 Furniture can be used throughout open floor plans to break up walls, connect rooms, and add variety to rooms. For example, cabinets and bookshelves can be used to break up walls that are made up of the same colors. Moreover, brightly colored furniture and pillows can be used as accent pieces. When decorating your open floor plan, it is important that you get creative with your furniture choices and placement. At Noel Painting, we love helping our clients achieve the homes of their dreams. So, if you need any help deciding what colors to use in your home, feel free to contact us today.